Picking the best golf courses can be a little like picking the prettiest girl (or guy) or the best dog. Everyone has their preferences, and everyone thinks they know what “best” means. Lucky for WNY you have us to tell you. Here are our picks, in no particular order, focusing on public links. Let us know if we left yours out. Purchased last year by local lawyer Ross Cellino (888-8888) they have spent considerable dollars on a new club house and surrounds. The course is a good test of golf, particularly from the back when the wind blows. The tall grass is prevalent throughout and can sometimes slow the pace down a bit. 18-hole, Daily Fee Golf Course. Learning Center consists of a Short Game Facility, Driving Range and 3-Hole Family Course. Designed by Dr. Michael Hurdzan. Website says: Holland Hills golf course is a par 72, regulation 18- hole golf course located on the highest point in Erie County. Holland Hills offers generous tree-lined fairways, pristine greens, many water hazards, bunkers, sandtraps, elevation changes, etc. set in the beautiful scenic hills of Holland. 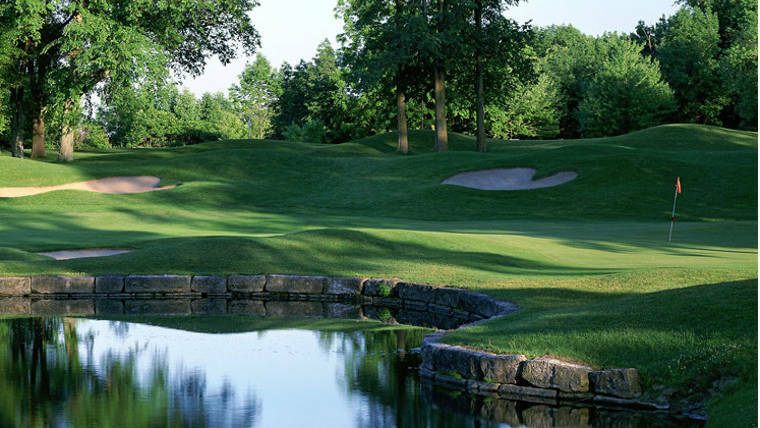 Holland Hills is the perfect golf course to accommodate all skill levels of golfers. It is both a challenging and forgiving golf course, and we encourage everyone to come on out. 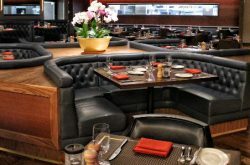 Holland Hills Country Club restaurant is located directly inside the clubhouse. It’s quaint and relaxing environment is the perfect end to an enjoyable round of golf. Enjoy one of our specialty sandwiches, homemade soups and a cold beverage either in our air-conditioned restaurant, or out on the patio overlooking the golf course. Daily specials are offered everyday and you don’t have to be a golfer to enjoy the restaurant – just come on up! 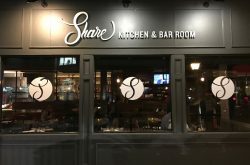 Our restaurant is open Mon – Fri 11am – 9pm during the golf season. Located in a glorious stretch of Rte. 39 not too close to anything. Great conditions, tricky layout, small greens and an outstanding value. Website says: Tri-County Country Club, located in Forestville, New York, is your number one option for a round of Western New York golf. From visitors to members to the folks at Golf Digest, this club has earned a reputation as one of the best in the region. Here at Tri-County Country Club we combine gorgeous scenery with a a commitment to tradition and unmatched service. There is truly no other place like Tri-County Country Club. Considered by some one of the best courses in western New York. Major elevation changes create challenges, but they are fair and well integrated. Course condition is sometimes not up to par with what you might expect based on their rates. Website says: A championship caliber, par 72 golf course, measuring 7,061 yards from the gold tees, with bentgrass greens, fairways and tees for optimum playing conditions. Its unique terrain and natural features, including panoramic rolling hills, great elevation changes, deep sand bunkers and mature woods, create a spectacular atmosphere that is unrivaled. 4.5 out of 5 stars from Golf Digest. Website: Designed by the legendary golf architect Donald Ross and completed in 1924, the Lake Course is characterized by open tee shots and demanding approaches to small, often steeply sloped greens. Ross designed nearly 400 courses, many considered the standard of excellence for American golf architecture, including the famed Pinehurst Number 2 (site of the 2005 US Open). Website: Xen Hassenplug, who also worked on both the Pittsburgh Field Club and Augusta National Golf Club, designed the scenic Hill Course. This layout features a commanding view of both Chautauqua Lake and the rolling hills of the surrounding countryside and rewards good shot placement. It also features tree-lined fairways, frequent dog legs and small but gently sloped greens. 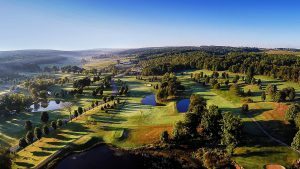 Holiday Valley golf offers some beautiful views and a lot of bad lies. If you’re in Ellicottville for the weekend and not up for shopping in town, this is the place for you. A nice course, generally well maintained, convenient to everything, particularly if you’re getting on a plane after the round. Website says: Diamond Hawk is Western New York’s Premier Public Golf Course. With 18 challenging golf holes Diamond Hawk will be sure to test the skill of all golfers. Designed by Dr. Michael Hurdzan. This a pretty layout that is well maintained, and a good test from the back tees. Opened in 2005, designed by Don Nicholas this is a fun yet challenging course that hosted the 2008 USGA Amateur qualifier and has been voted best public course by a the Buffalo Spree twice. This is a very playable course for people of all ages and talents. Over 60 bunkers and beautiful grounds throughout. Website says: Just a few miles east of Buffalo & a short drive west of Rochester, Arrowhead Golf Club has quickly emerged as one of Western New York’s prominent golf destinations, garnering considerable praise from the discerning player looking for a casual golf outing, as well as from the exclusive private club member looking for a fresh & inspiring change. The course plays to a par of 72, with four sets of tees, graceful bent-grass greens, foxy fairways, and over 60 eye-pleasing bunkers. 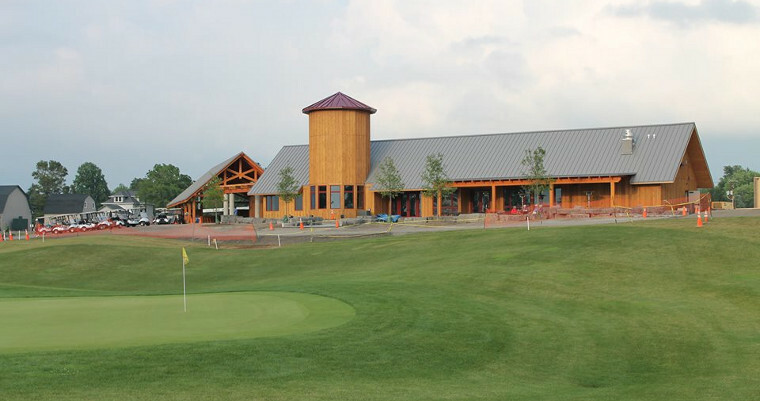 In addition to the respected golf course, the stocked pro shop and stunning stand-alone post-and-beam style clubhouse- which serves as our Timberlodge Banquet Facility & Restaurant- provide for a top-notch experience. Whether you live in Buffalo, Rochester, Ontario, or beyond- Arrowhead is surely well-worth the visit. The perfect spot to relax and enjoy a stress free game. 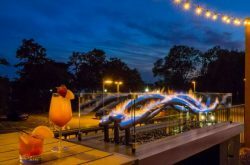 Great resort setting for the family or group – stay, play, relax & enjoy. Website: The Byrncliff golf course, rated four stars by Golf Digest’s Best Places to Play, is one of the premiere courses in Western New York. Come play a round or two on our meticulously groomed, scenic, and fun-to-play 18-hole golf course. You will enjoy the challenges this course offers while taking in the picturesque view all around you. Open to the public, Byrncliff offers daily-fee play, all-inclusive golf get-away packages, corporate outings, or social group outings. Only a few years old, this Robert Trent Jones design calls for plenty of power from the back, and quality approach shots to most greens. Website says: Named to reflect the presence of rare and protected Shellbark Hickory trees on site, Seneca Hickory Stick features a picturesque layout highlighted by tranquil lakes and ponds, native plants and grasses that are surrounded by large mature trees. The Robert Trent Jones II design weaves its way through some of the finest topography for golf in the entire region. 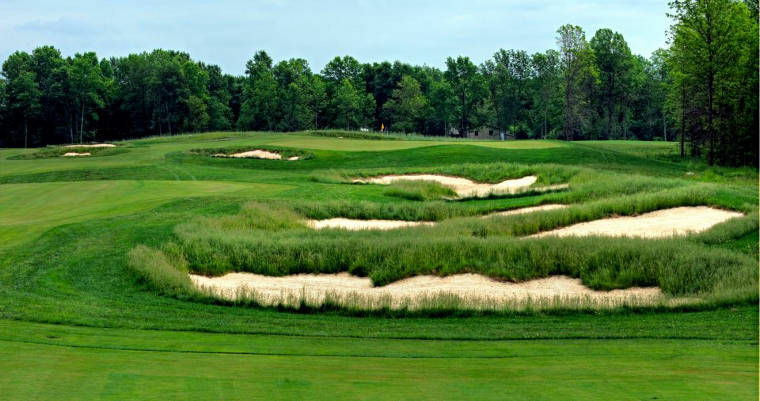 Combining the absolute best course conditions and customer service levels in the area, Hickory Stick redefines Premium Daily Fee Golf in Western New York. Seneca Hickory Stick is open to the public for daily fee play. Tee times are available up to 14 days in advance. This is a good layout but the occasional house might get in the way if you tend to move the ball from right to left. Most years it is well kept given the substantial number of rounds it sees. Website says: Conveniently located just 25 minutes from downtown Buffalo, Glen Oak offers a championship Robert Trent Jones designed golf course open for public play. 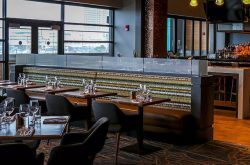 After a round of golf, visit our Oak Room bar and grill. 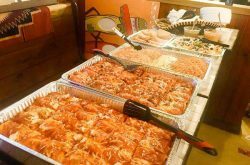 We also offer extraordinary views from our banquet facility, where we handle all types of banquets with our superb food and outstanding service. Website says: 27 Holes kept in excellent condition throughout the year; North/South Course is par 72 and ranges from 5,019 to 6,389 yards depending on tees used; North/West Course is par 71 and ranges from 5,076 to 6,418 yards depending on tees used; South/West Course is par 71 and ranges from 4,763 to 6,133 yards depending on tees used; a beautiful setting with Eighteen mile Creek running through the property. This is a great layout and a true value, if a bit of a drive from Buffalo. If the winds are blowing you’ll want to move up on the tees, or load up on the balls at the turn. Website: Hunters Pointe is a testament to links golf as it was meant to be. 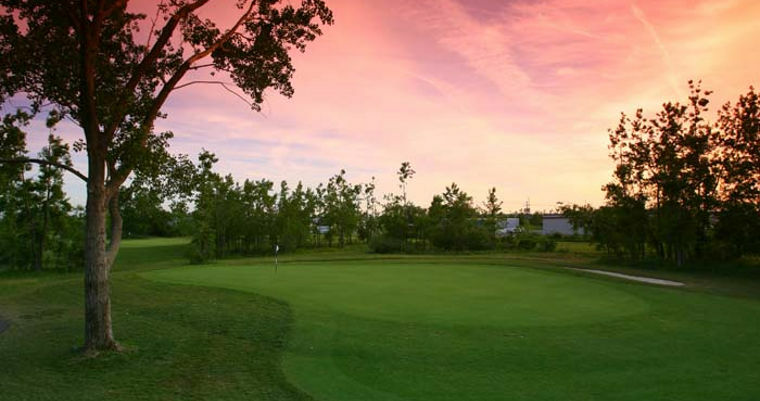 Designed by Graham Cooke & Associates to model the Scottish Highlands, Hunters Pointe opened in 2000 and signaled a new direction of golf in Niagara. Our unique blend of par 3’s, 4’s and 5’s will give you a taste of what it is like to tee off where golf was born. The course design takes on a Scottish style since it plays hard and fast like the British Open with waving fescue, lightning-fast greens, perfectly manicured fairways and strategically placed pot bunkers. Expansive ponds, prevailing winds and dramatic elevation changes make the course a true challenge from the back, however our four sets of tees and generous landing areas make it an enjoyable experience for golfers of all abilities. It is truly bold, beautiful and breathtaking and a brand of golf that cannot be experienced elsewhere. The original owners had big plans for the place a decade back or so – hotels, casinos, another golf course… Didn’t work out but what they left is a tiny little pro shop and a fantastic golf course in the middle of nothin’. Works for me. Website says: To play a Rees Jones course is a true privilege, an experience the avid golfer will never forget. The course at Grand Niagara is classic Rees Jones. There is no trickery here. His fairway angles, positioning of hazards and exquisitely contoured greens demand intelligent course management, tempting players with a variety of risk-reward options. Strategy breeds success. The Legends is a very nice operation with two good courses. For a while a few years ago the prices were staggering but they’ve come back to reality now and offer a good option. 1,000 acres of natural landscape that boast two 18-hole championship courses, a 9-hole executive course, and a 45-acre, 360-degree, driving range. Website: The imposing Battlefield course is located on the north side of the Legends on the Niagara property. Golf Architect Douglas Carrick created a truly unique course that challenges every level of golfer. The Battlefield course features a nice mix of wide, links style holes with generous undulating fairways and greens that are bound by dense forest and brush. The bunkers on the Battlefield course are particularly treacherous, as high lips and grass walls make recoveries from errant tee shots and approach shots quite difficult. Even with the deep bunkers, Carrick has designed fairways that sweep across a gently contoured countryside that gives the golfer some breathing room both off the tee and as they approach the green. Website: Located on the south side of this majestic property is the Ussher’s Creek course, one of Golf Architect Thomas McBroom’s finest masterpieces. This challenging and breathtaking course features thick stands of deciduous trees, wetland hazards, knee-high fescue rough, and impeccable conditioning from tee to green. These all combine to make Ussher’s Creek a classic parkland course. Thomas McBroom set the course softly on the land with flowing lines, moderately sized greens with slight folds, and strategic bunkering to create targets and intricate turns. This course offers a nice contrast to its counterpart, Battlefield, while still providing a great challenge for every level of golfer. The large amount of land allowed McBroom the rare luxury of creating a meandering course that promotes a feeling of privacy and keeps adjacent foursomes hidden from sight. 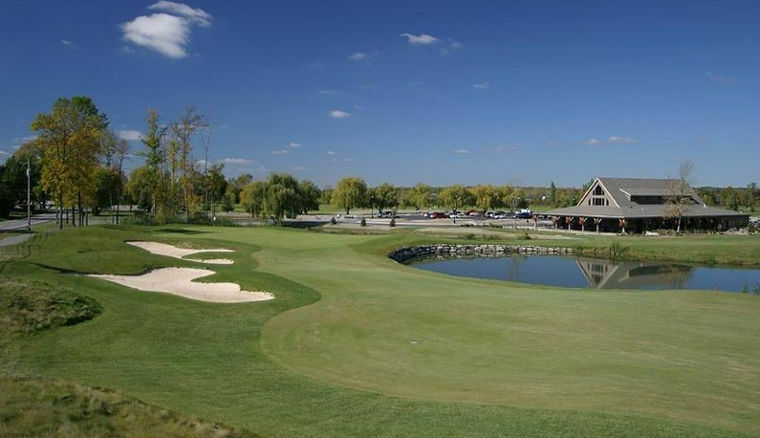 Website: Due to the extreme winter conditions experienced throughout the Niagara Region this past year, Whirlpool Golf Course will remain closed until May 30. During this time, Niagara Parks staff will be working to implement a turf maintenance and recovery program to those areas of the course impacted by the winter weather. Legends on the Niagara golf complex will be open as of April 17, as it was not affected by the harsh winter conditions. Please contact our reservation department for more information at 1 (866) 465-3642. We thank you for your understanding and look forward to hosting you on our golf courses this coming year. 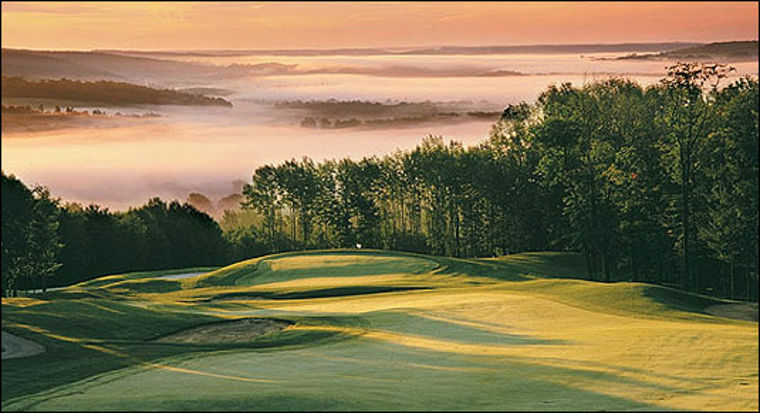 Designed by famous golf architect Stanley Thompson, the Whirlpool Golf Course is one of Canada’s most highly rated public golf courses.